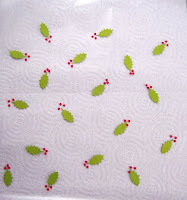 Layout some paper towel and lay a piece of wax paper on top of it. 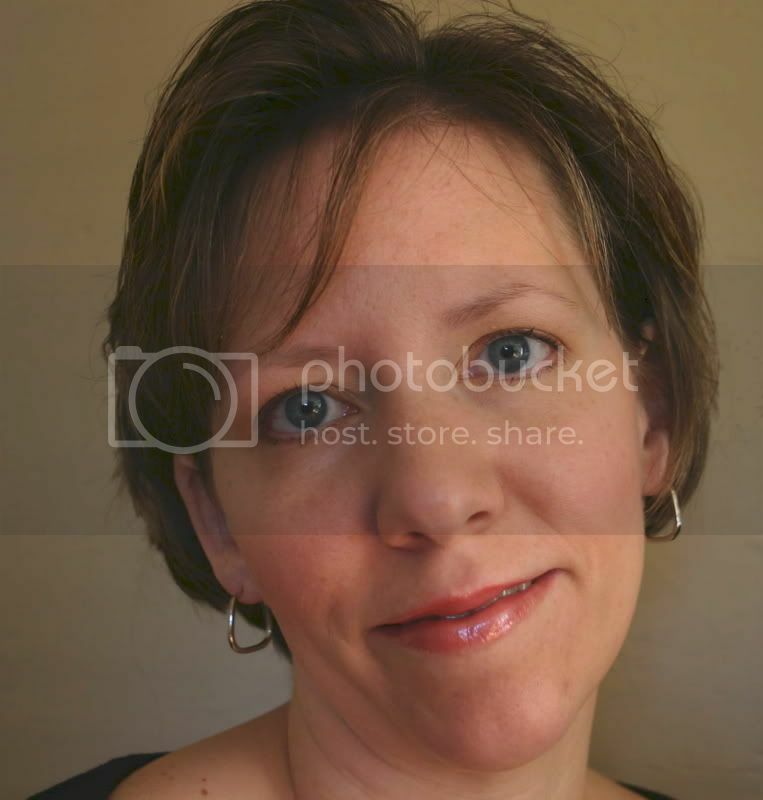 Punch out your images from cardstock in your desired color. (For this, I used the Martha Stewart Holly leaf punch with green cardstock from the Halloween Key Ingredients, and a small hole punch with red cardstock from the Christmas Key Ingredients). Arrange punched pieces on wax paper. Lay a second piece of wax paper on top. 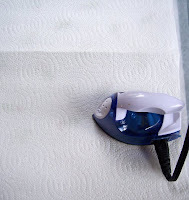 Cover that with another paper towel and run an iron across the paper towel to "seal" your images in the wax paper. 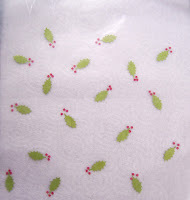 Now you can use this wax paper however you like. . .as a wrap for homemade bread or an insert for a candy box. 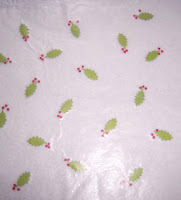 I decided to trace and cut a box pattern on my patterned wax paper. 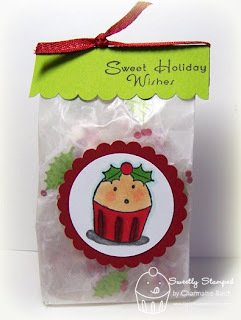 Fill your bag with some sweets. . .I used peppermints. . .and finish embellishing your bag and you've got an adorable gift ready to give! SUPPLIES USED: Stamps- Season's Sweetings (Taylored Expressions); Ink- Tuxedo Black (Tsukineko); Paper- green from Halloween Key Ingredients, red from Christmas Key Ingredients (Taylored Expressions), wax paper, paper towels; Accessories- Copic markers, Super Jumbo circle punch, Mega scallop circle punch (Marvy Uchida), ribbon from Christmas Key Ingredients (Taylored Expressions), scallop border punch (SU), Holly punch (Martha Stewart), hole punch. OMG! How clever are you? This is such a great idea! Love the finished gift! That is such an awesome idea! What a great use for all the punches we own! Wow! What a great idea! I love how you used it too. TFS! that is just too dang cute! Very clever. Thanks for sharing! Oh how super cool!!! TFS! What a brillant idea! TFS! Hi, I did this once with cedar between the wax paper for gift wrap. But doing it with punched paper; I never thought and this is very clever. And wow I love the idea of a bag for goodies. Now I have a question for you: because nothing sticks to paper wax, how do you form your bag? How do you close it (not at the top) to form the bag? Thank your very much for answering. I'm going to make some bags of candies for my nieces for Christmas. What a clever idea, I love it! What a great idea. I do lots of mini breads as gifts and they would be neat packaged this way. Thanks for shring this neat project.